START HERE! Tons of 2.3T technical info that should answer many of the questions I commonly hear. How to swap a Manual Transmission into an Automatic Trans equipped Mustang or Thunderbird. 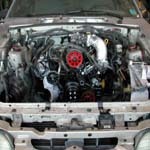 Wiring Information needed to install a 2.3 Turbo engine in a 91-93 Mustang. 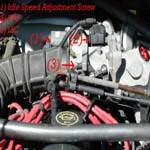 Wiring Information needed to install a 2.3 Turbo engine in an 87-90 Mustang. 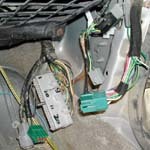 A step by step overview of a typical 2.3T installation in an 87-93 Mustang. 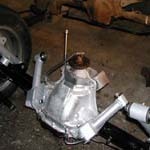 Includes pictures of modifications and helpful tips and information to make the swap easier. How to install the larger 5.0 disc brakes on the front of a 2.3 Mustang. How to install a Turbo Coupe 8.8" rear w/disc brakes in a Fox Body Mustang. How to install new track-loc clutches in your 8.8" rear. 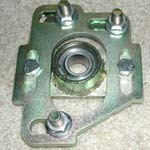 Overview of the install of caster camber plates on a fox body vehicle. Step by step overview covering the install of rear upper and lower control arms. 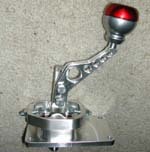 Covers the simple installation of an aftermarket shifter. 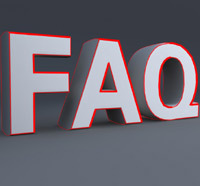 Part Numbers specific to 2.3's and Mustangs. 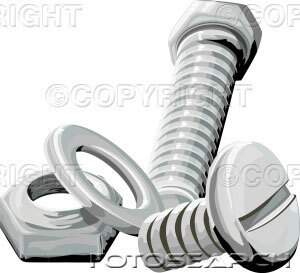 2.3 Specific Fuel Line & Fuel Rail Fittings. Tech Articles covering timing, timing belt swaps, idle control, oil pan removal, and many other technical articles.